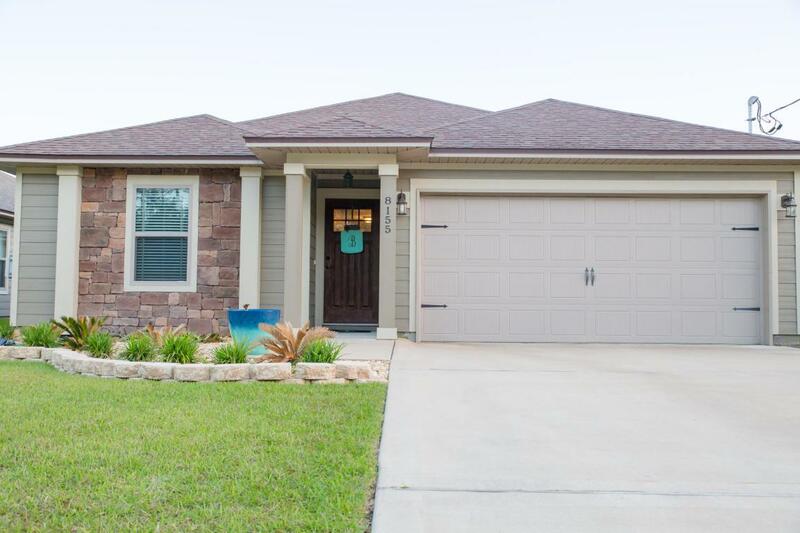 This luxurious home awaits you in the heart of Navarre. From the tray ceilings for that spacious, open-air atmosphere, the epoxy coated texture grip garage floor that has that showroom feel, the granite counter tops to the detailing of the shower tiling and knobs. This oasis has it all! Beautiful, private backyard with an exquisite ozone pool, wine fridge, deep pantry and master and 3rd bedroom have custom wood shelving to match the dark wood flooring.